Merano and Environs offers numerous leisure time activities, unique outdoor experiences, a lot of sun and plenty of culinary delights. Merano is rich in contrasts: experience a mix of South Tyrolean tradition and Mediterranean flair in the favourable climate of the Spa Town. Often spring begins at the end of February and late-summer lasts until November. 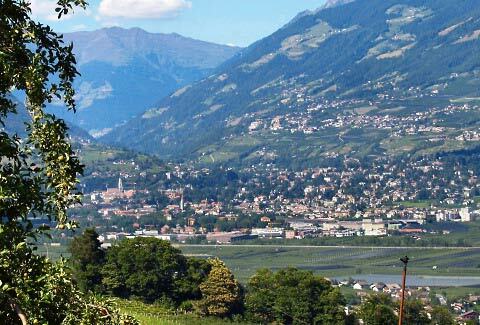 Merano is ideal for a culture and family holiday. 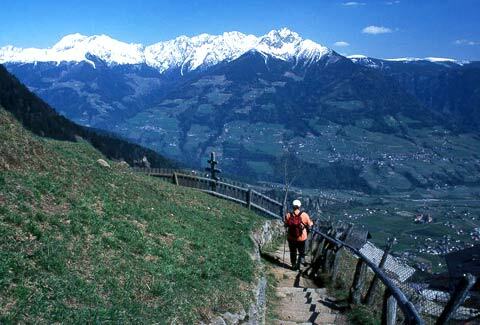 Visit the numerous castles, chapels and ruins, Tirol Castle, Juval Castle and other historic sights of South Tyrol. 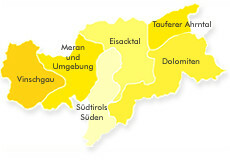 Furthermore, numerous cultural events are organised in Merano & environs throughout the year. Another highlight in Meran is the 7,650 m² large thermal bath facility "Therme Meran" with indoor & outdoor pools, different saunas and a Spa & Vital Centre. The botanic Gardens of Trauttmansdorff Castle open at the beginning of April when the treasures of the botanic garden start to bloom. 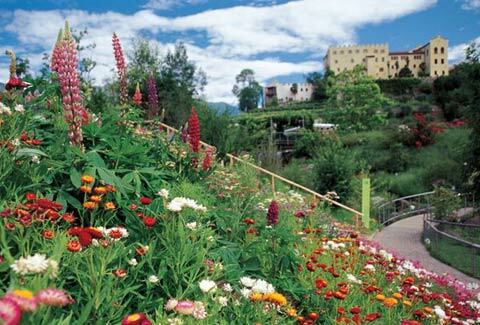 You can spend an entire day admiring different plants and flowers and the Touriseum, Museum of Tourism, telling the history of tourism in South Tyrol.